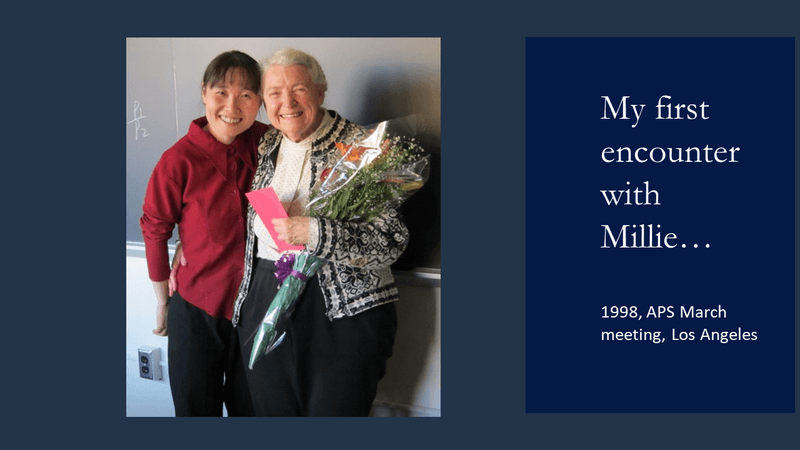 Jing Kong reflects on the memories she has with Millie, the things she and Millie discussed on their carpool, and on Millie's trips to China and their impact. My name is Jing Kong. It is such a privilege for me to share a little bit of the story of me and Millie. I joined MIT in 2004, but I actually had my first encounter with Millie much earlier than that. During my first year of grad school, I went to an APS March meeting. I was in the nanotube session, and Millie was chairing the session. 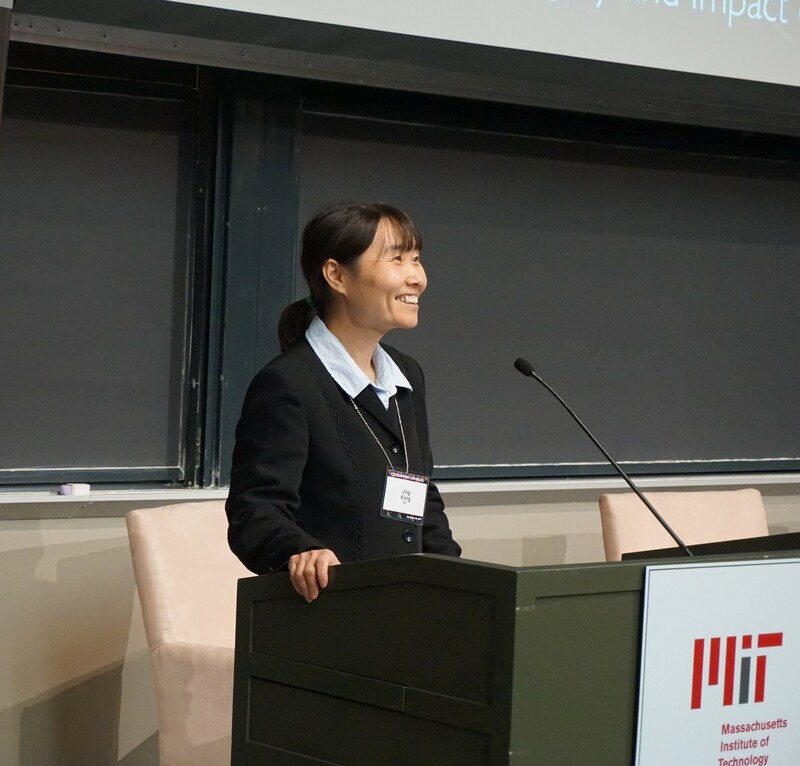 During my first meeting with Millie, I was told that she was a famous MIT Institute Professor. I was overawed! I never, for one moment, imagined that I would have the opportunity to work with her later in my life. 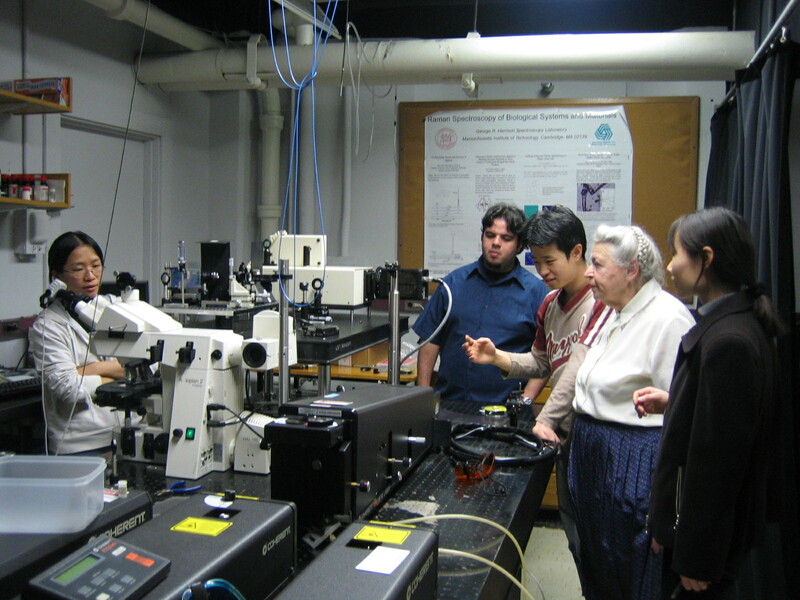 But then, in 2004, I came to MIT, and I started on a really wonderful journey with Millie. I had never been to Boston before, nor had I ever been to MIT. Things were not so easy for me, in a strange city and a new place. In fact, when I arrived, my lab was not even ready, yet! But to Millie, this was no big deal. Millie shared her lab with me, she shared her students with me, and she invited me to her home and made me feel like Boston was a warm and welcoming place. I am so glad they had Millie as their advisor, and I find it inspiring that Millie gave these students the support they needed to really succeed. Her stories about past students have helped me understand how to really support my current students. One thing that always struck me about Millie was how she constantly found ways to make the impossible become possible. We once talked about how the biology/medical research field is very crowded, which means that many researchers do lengthy postdocs and have limited opportunities to move on to the next stage. I thought this was an insurmountable and impossible problem. Millie just thought about it a little, then proposed that if one could combine these postdocs’ biology/medical research background with other fields, it might open up opportunities for them in new directions. It was a fresh way of looking at the problem, and I found it really inspiring. Millie was never afraid or tired of learning new things, and her joy in doing so was infectious to all those around her! I remember how excited and overjoyed she was when she began to venture into research in black phosphorus — a completely new research direction. 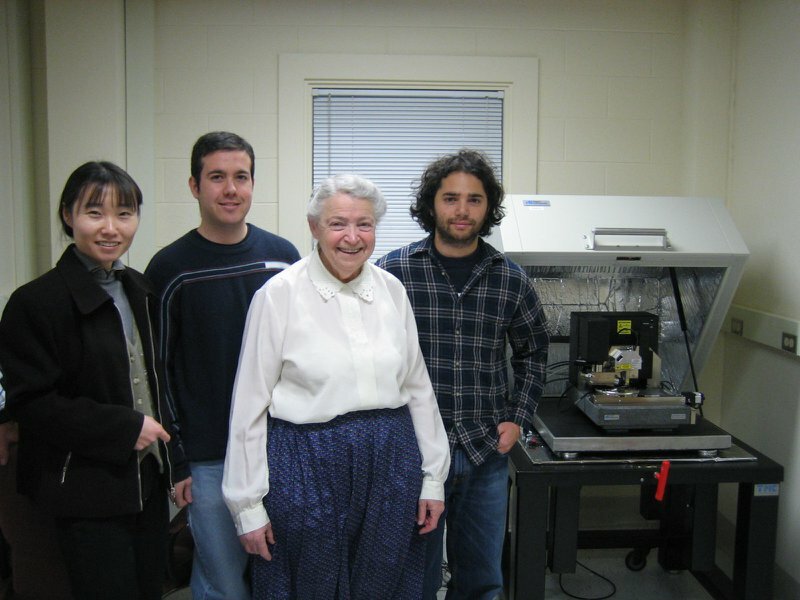 Whenever she talked to me about her career, she got that same glow about her, and I knew that she had switched directions in her research many times, always with the same excitement and enthusiasm. It made me and my students equally excited and enthusiastic! I have kept this picture with me for a long time. It always reminds me of Millie. 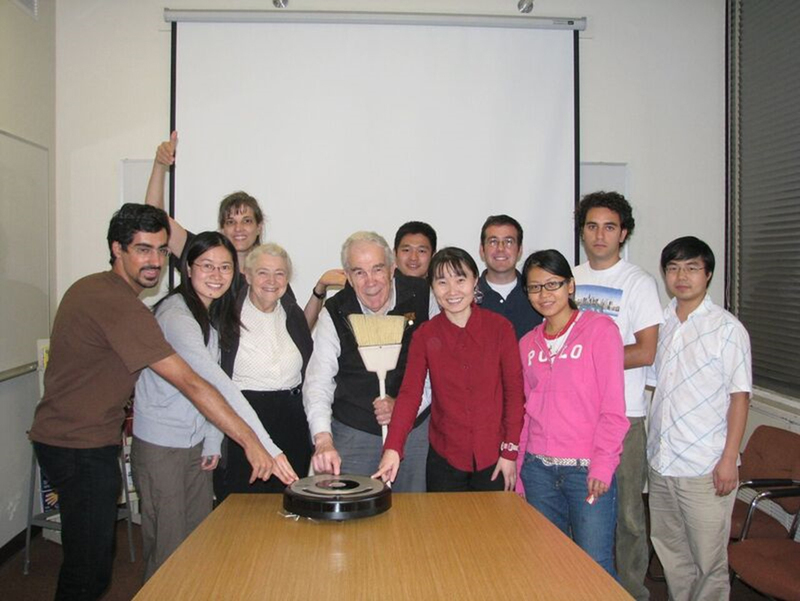 After my second semester at MIT, my lab was finally ready — and Gene suggested me that we should have a lab warming party. He also suggested that Millie should give the blessing to the lab, at the party. So I remember — me, Millie, and all the students were standing in the lab. And Millie stood there and gave the lab her blessing. It was really a very special moment. Millie introduced me to all her collaborators across the world, and that made a big difference to me. I met so many great scientists and was so honored to learn from them. But, once again, Millie went one step further. During our commutes together, as we chatted to one another, I got to hear about some great scientists of times past, whom Millie knew. Her stories were filled with lessons and advice that could help me with my own career. 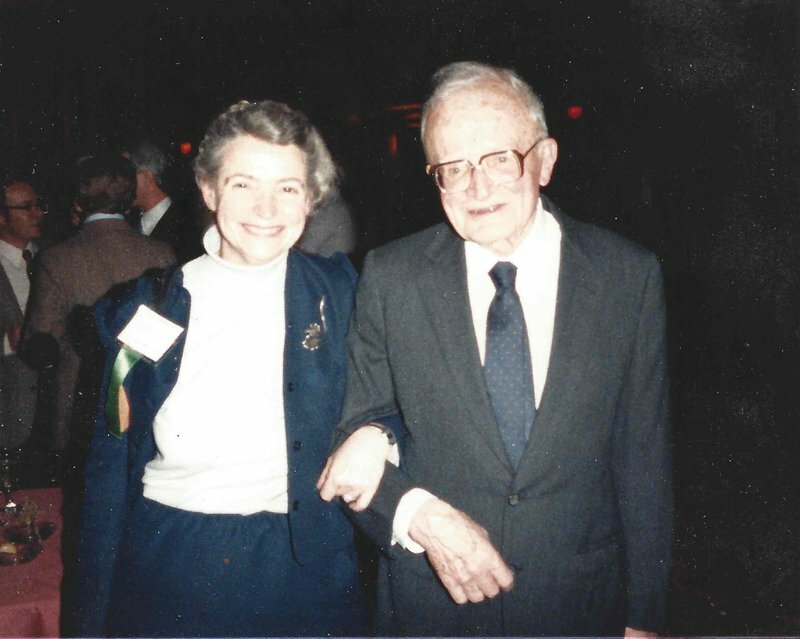 I heard how Fermi, for example, taught and inspired Millie and her classmates, and also all about the way in which he organized his quite competitive class at the University of Chicago. Even though Fermi’s high standards meant that some students had to drop the class before the end of the term, Millie mentioned that these students still learned a lot from the lectures they attended and are now very successful, as well. I also got to hear all about Prof. Shannon (who was also at MIT) and Prof. von Hippel, and many of her other colleagues at MIT. She passed their wisdom on to me, and I took it to heart. So, thanks to Millie, I was able to learn so much from great scientists of the past, present, and (through students) future! One day, in 2005, Millie read this paper by Professor A.K. Geim. This is after their 2004 paper, using Graphene. So they exfoliated all kinds of different two dimensional materials. Actually, at the time, I was, indeed, thinking about maybe synthesizing graphene. 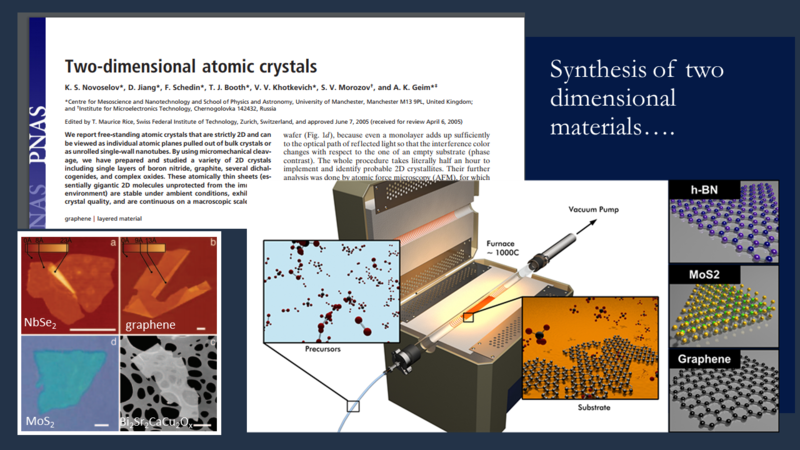 That actually really opened up this type of research in my group, and we did a lot of chemical vapor deposition of all different kinds of two dimensional materials. But Millie never claimed any credit for any of the ideas she gave to us. She just gave us suggestions and questions and encouraged us to do research and write papers on those topics. And, as I soon found out, she did the same thing for MIT in general. Millie told me the origin of the EE department at MIT and how they came to include CS (computer science) in the department. My impression was actually that Millie played a very important role in making that decision — but, of course, she never officially took credit for it. I could absolutely believe that she had a large role in this, as she is always keen on new directions and new development. Nowadays, the CS part of the department is even bigger than EE. Although many people have already forgotten how these two departments wound up joined, I am really thankful that I could get to know it through Millie. I’d like to mention Millie’s influence in China, briefly. I know that Millie had previously interacted a lot with Xiexi De, who studied in MIT and was an influential figure in the Chinese government/science field many years ago. Millie visited her in China very early on (I think in the 70’s). In the more recent decades, she’s visited China multiple times, especially to visit Peking University, and to meet with Prof. HuiMing Cheng in Shenyang. 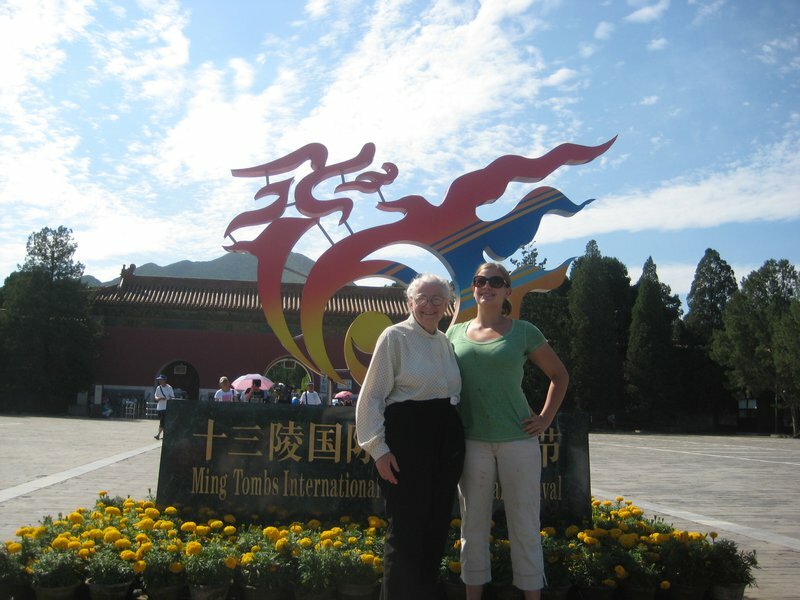 Once, I accompanied Millie on her trip to Peking University. This was early in my career, and it was the first time I saw Millie make certain to allocate time so she could meet with female students and encourage them to pursue a career in science. This had a profound impact on me. Millie also told me a lot of stories about her family, and throughout these anecdotes, she had gave me suggestions about balancing work and family life. She told me about Mrs. Terzian, who helped her to take care of the kids and the household. When Mrs. Terzian wasn’t around, Millie and Gene both split the duties of taking care of the children, which was unusual for that time. I saw so much love in the relationships that Millie had with her big, big family — a family that Millie extended to encompass those who helped her and the students she cared about. It’s no wonder so many people liked to work with Millie for a long time! Millie also mentioned the many different trips she took with her family, and told me that those were really good for the family. 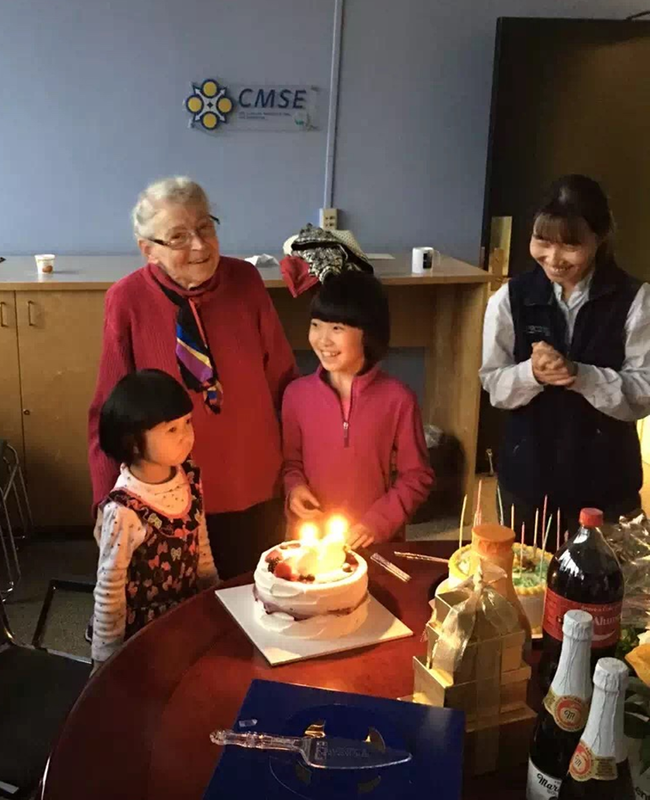 Even as an octogenarian, Millie would take family members with her on her trips to other countries and lectures and award ceremonies, and everyone really enjoyed it. Through our conversations I also got to know Remon and Nancy, cousins who were so close that they felt more like immediate family. She always made it clear to me that Remon was like another son, to her, and she expressed her gratitude that he and Nancy helped Leora to recover from a very bad bicycle accident. I also found that Millie respected all of her children’s ideas and thoughts very much (I had always wanted to exert some authority on my kids, to make sure they are well behaved and have many opportunities in their future), but Millie encouraged her children and respected them even when they thought differently from her. Overall, I found Millie’s stories about her family very helpful for me in terms of my own family, and I am still trying to learn from her example. To conclude, I'm so thankful that God has brought Millie and Gene and all their family into my life. I have all these sweet memories that I really treasure. I can never buy anything like them with money. The memories of me and Millie and the lessons she taught me will accompany me throughout all my future journeys, and I am privileged to have been enlightened in this way. I hope we can all continue to carry on Millie's legacy. I know I certainly will.